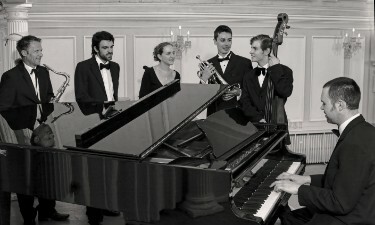 The Matt Hodges Jazz Band has been playing together since 2002 and features experienced and skilled musicians with a love of live music at the heart of what they do. Based in Norfolk in East Anglia, they are available to hire in various line-ups to suit any occasion and have played at many prestigious events across East Anglia, the UK and Europe. your event one to remember. 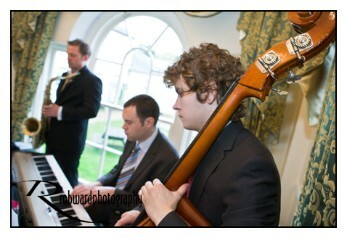 The Matt Hodges Jazz Band is a great choice for private functions, including corporate hospitality events, weddings and anniversary parties and has also proved very popular at public events and in hotels and restaurants. Most of the band's work is in East Anglia (Norfolk, Suffolk, Cambridge, Essex) and London but they are available for hire anywhere in the UK or even overseas. Prices reflect the quality of musicianship in the band but are nevertheless very competitive - please call or email for details. If you are looking for a jazz band in Norfolk, Suffolk or anywhere in the UK then just get in touch to discuss what the band could offer.